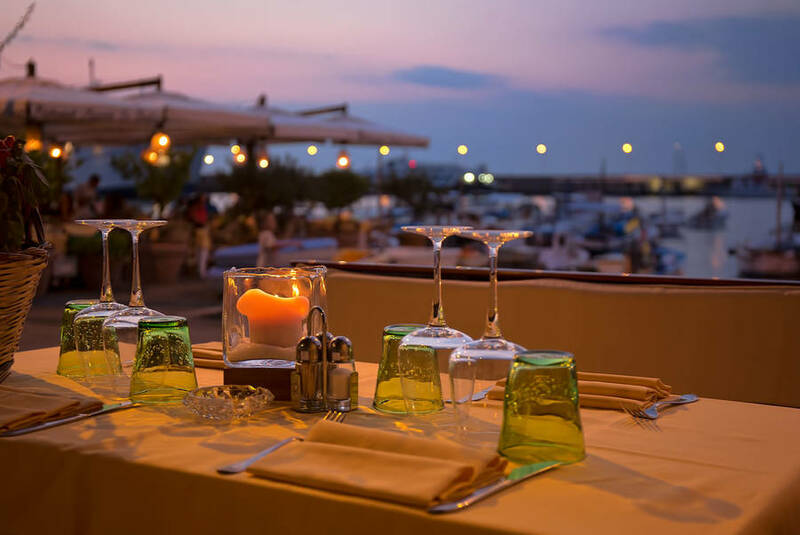 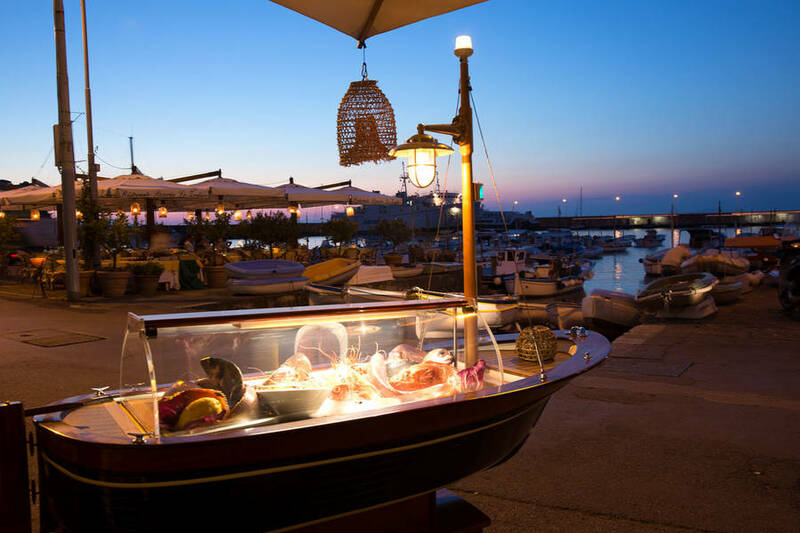 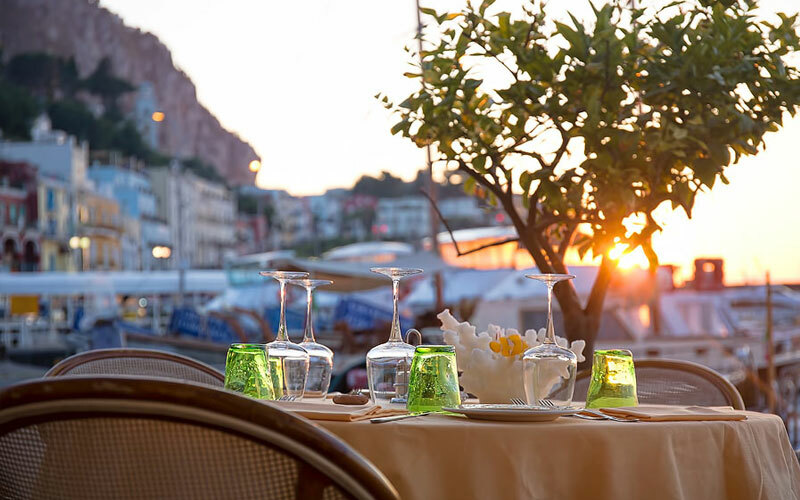 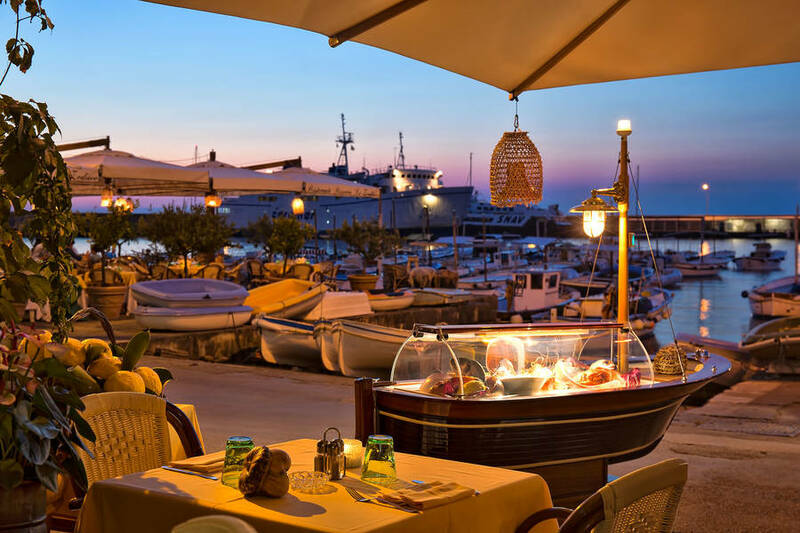 The warm caress of the sea breeze, the soothing sound of the waves and the exquisite aroma of Capri's traditional cuisine: you're at Lo Zodiaco, a fabulous fish restaurant in the port of Marina Grande. 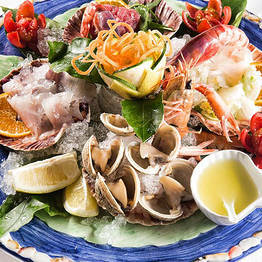 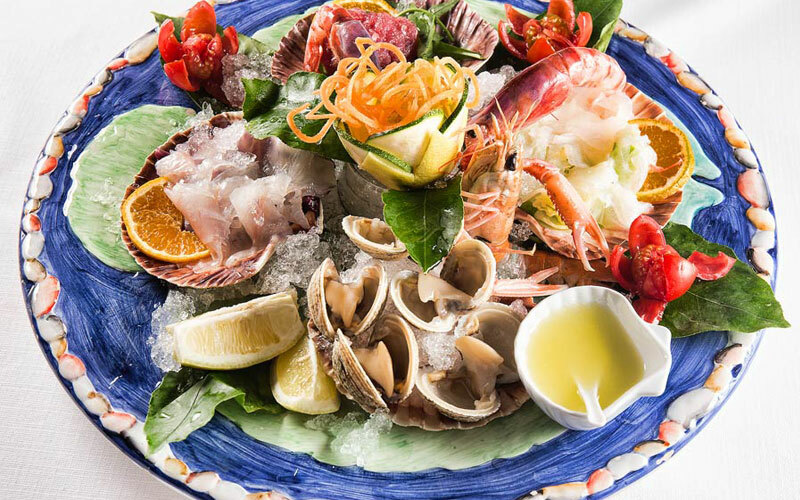 Not surprisingly, given the restaurant's location in the harbor, the fish, sea food and crustaceans used in Zodiaco's maritime delicacies are the freshest ever. 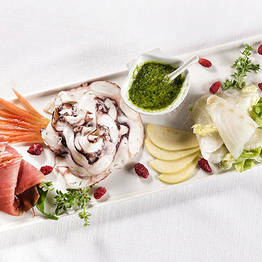 Not a fish fan? 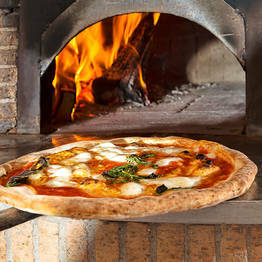 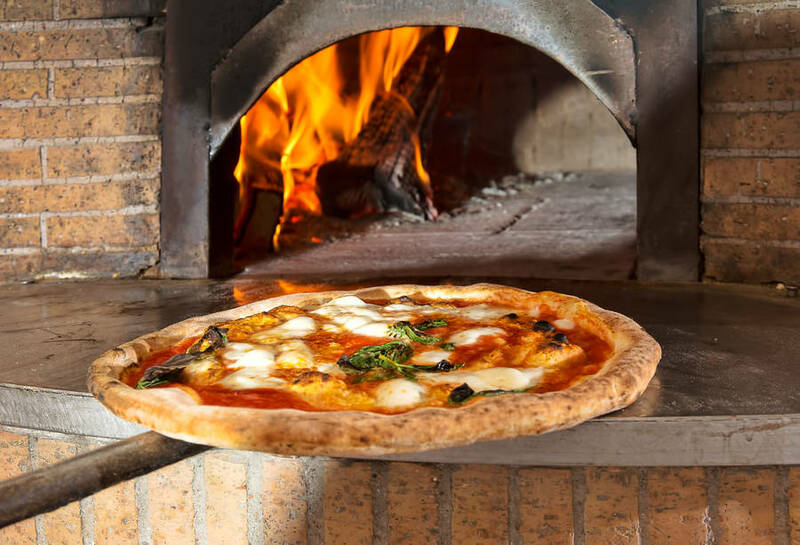 The restaurant serves great pasta (including the island's legendary ravioli capresi) and pizza, this last cooked in a traditional wood burning oven, too! 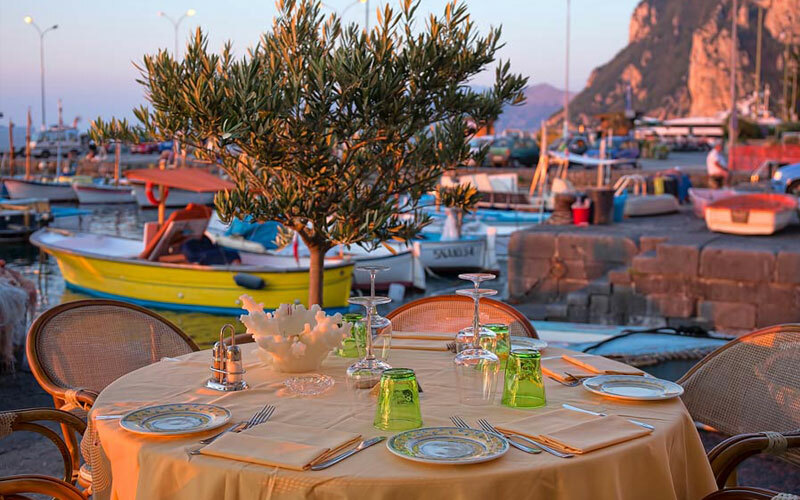 In the summer guests dine on the restaurant's terrace, surrounded by Capri's traditional "gozzi" boats: the perfect setting for an eating experience to remember! 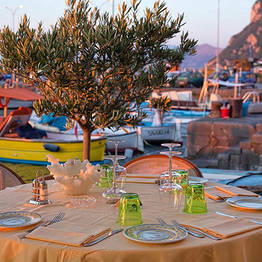 Sailing around the the Bay of Naples by yacht? 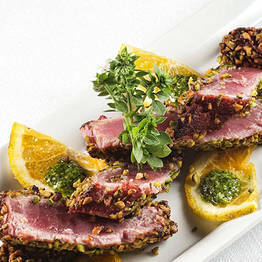 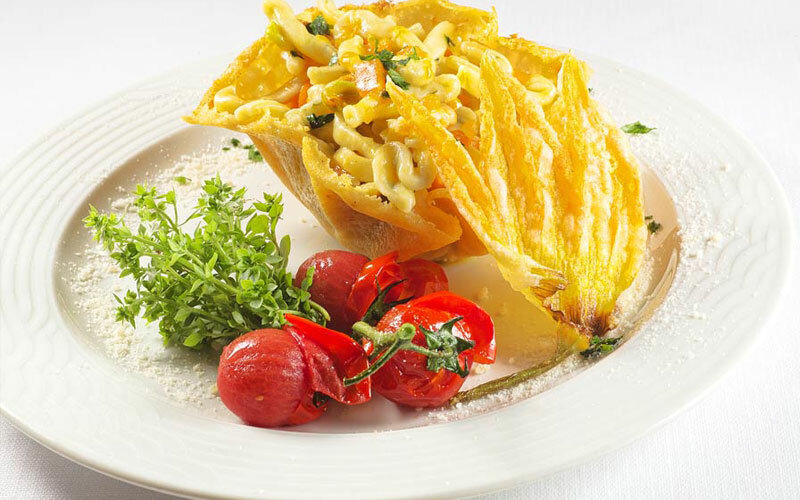 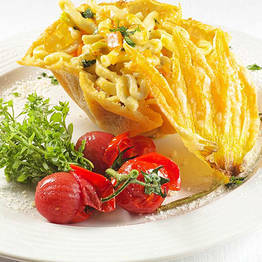 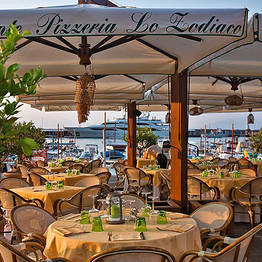 Drop anchor off the shores of Capri and order an onboard dinner from Zodiaco! 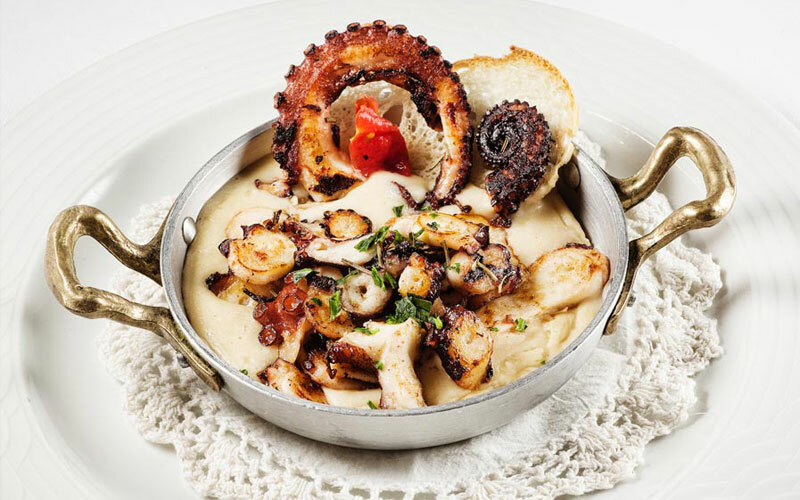 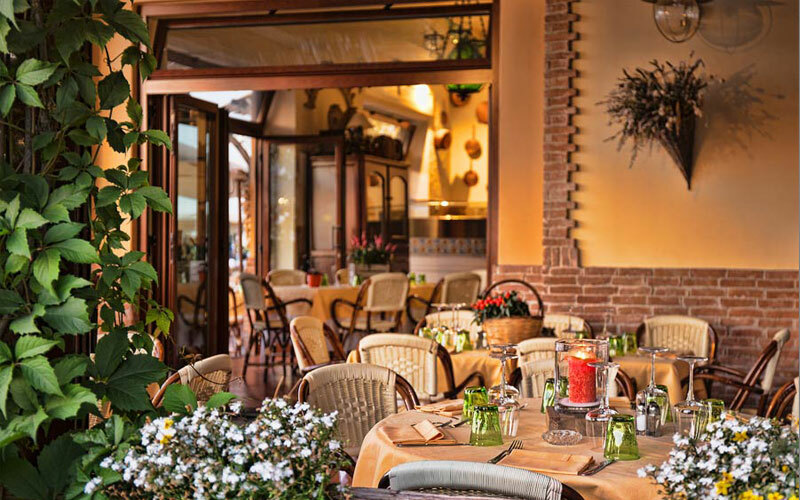 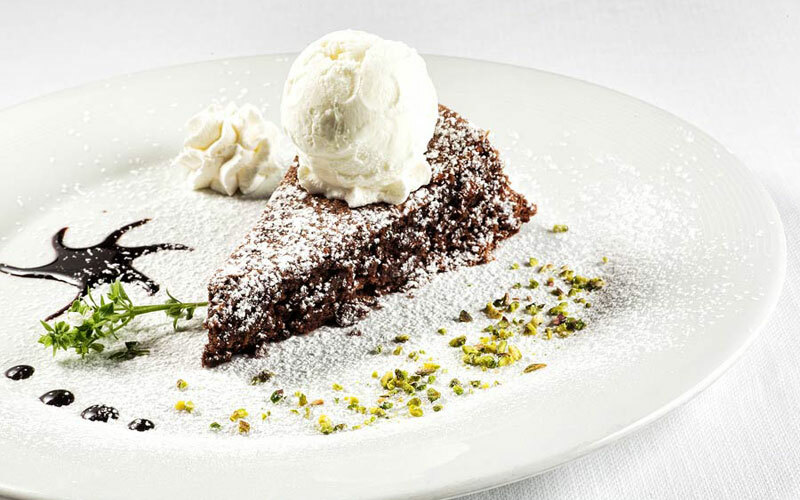 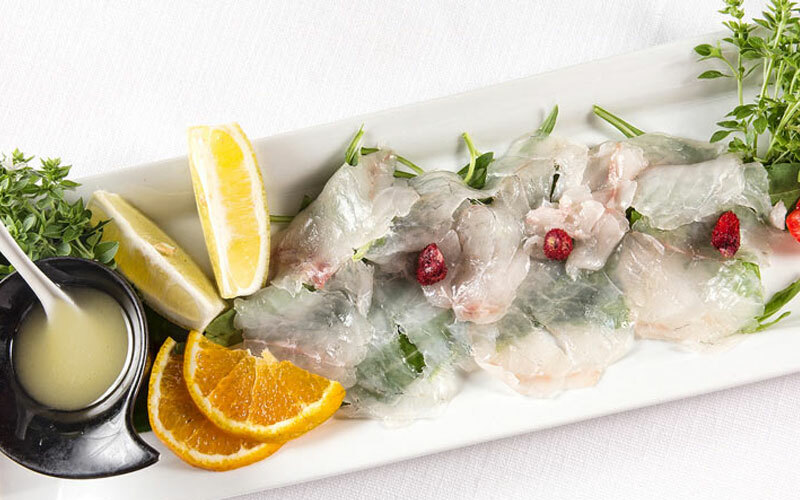 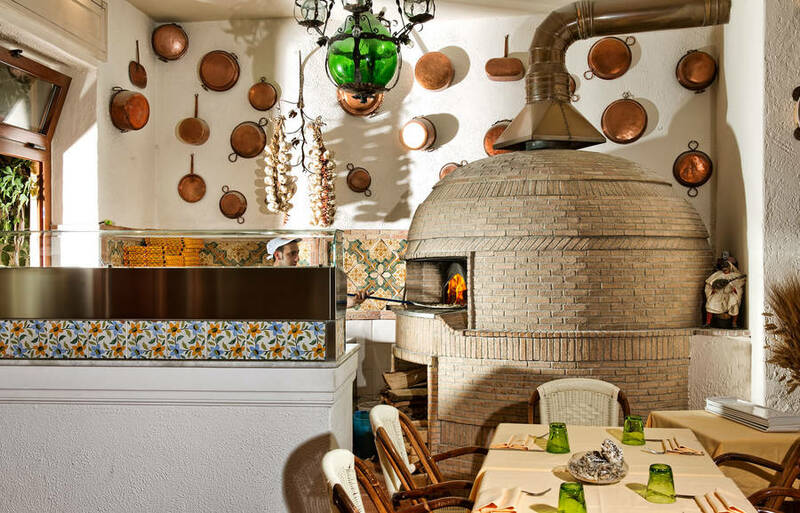 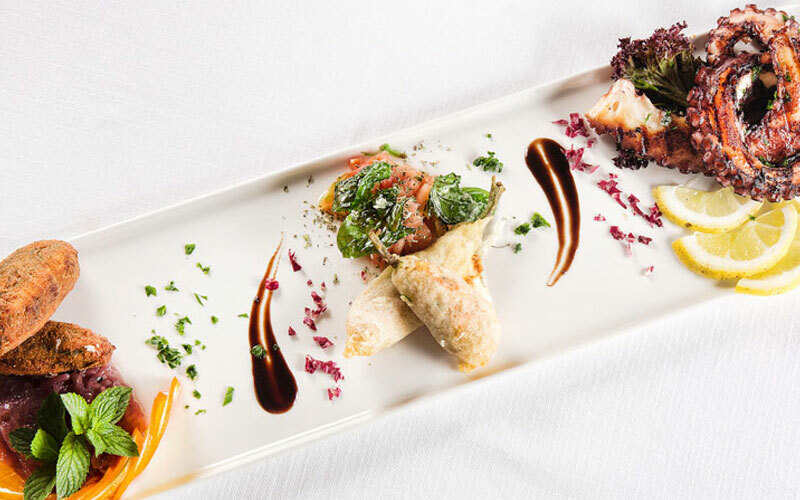 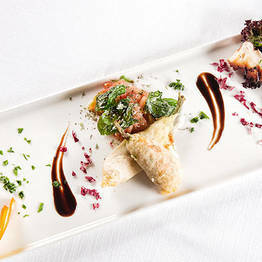 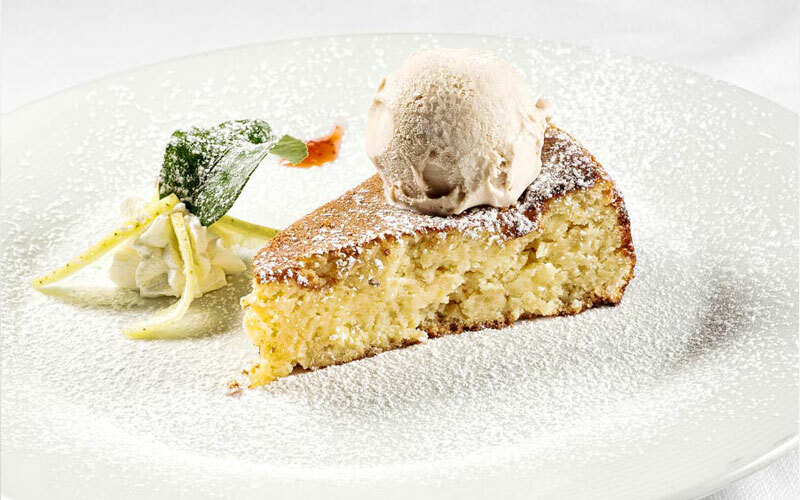 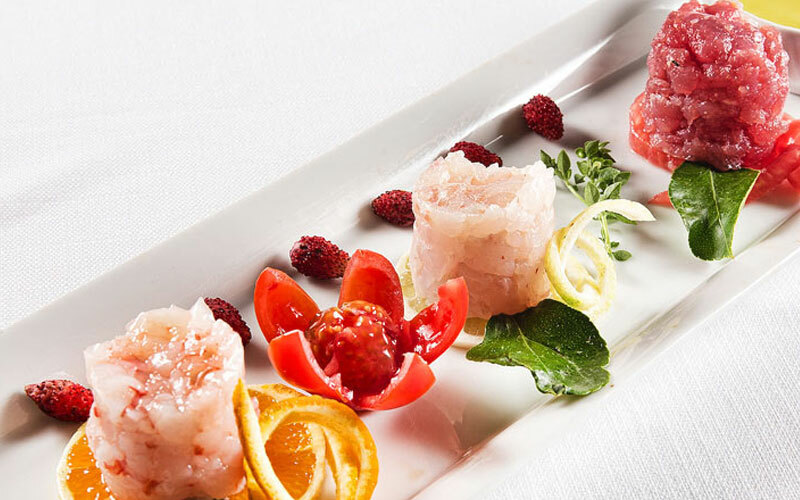 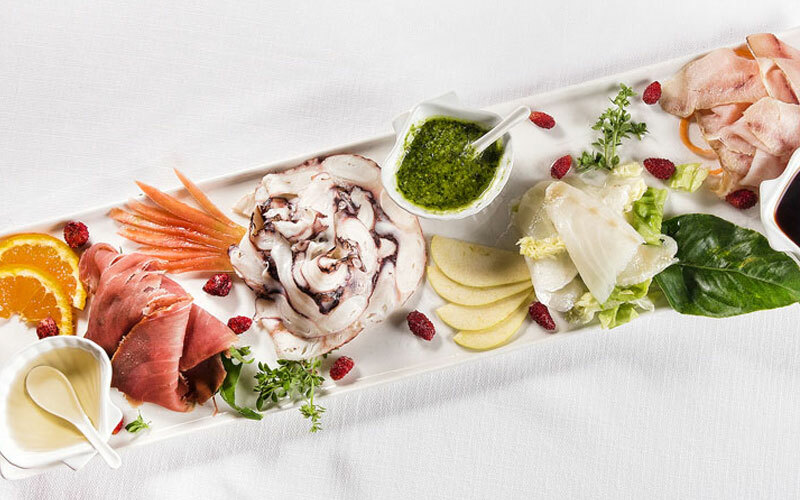 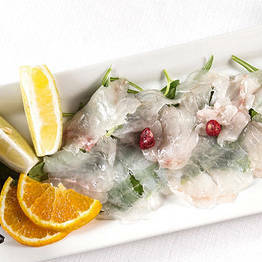 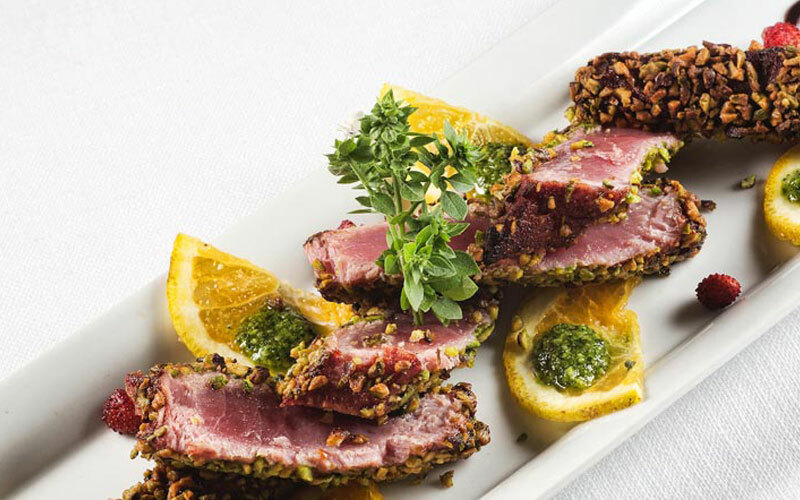 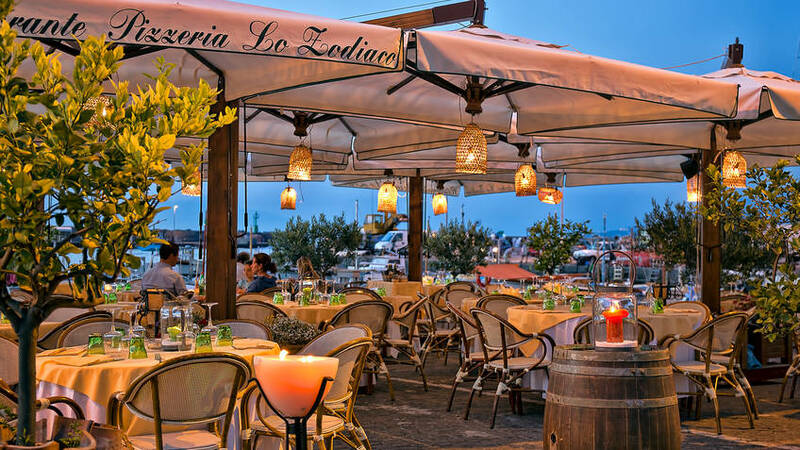 Thanks to its strategic location in Capri's port, Lo Zodiaco is the ideal choice for day trippers eager to taste the island's cuisine but with limited time at their disposal. 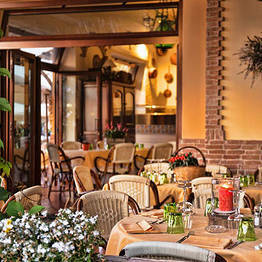 Amazing food, service and staff! 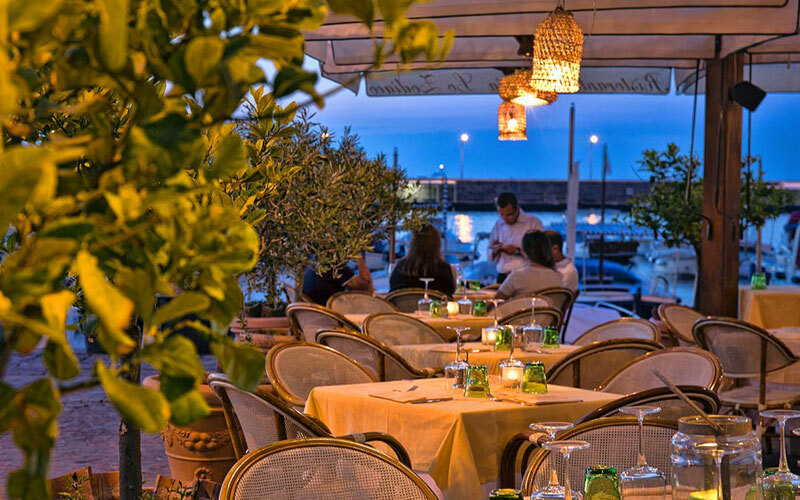 Excellent service and amazing food! 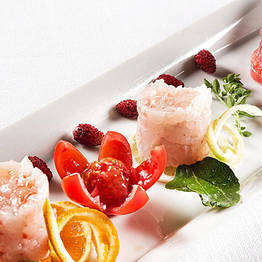 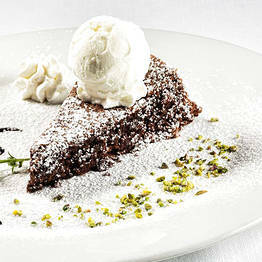 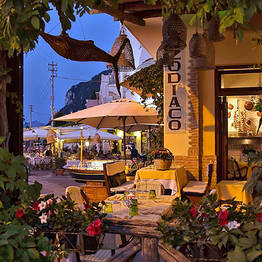 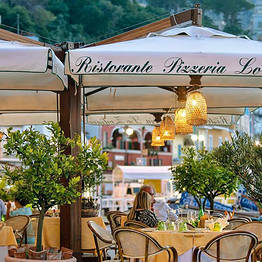 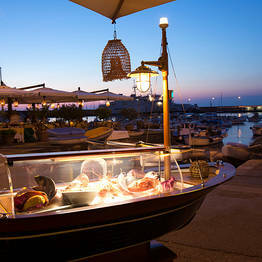 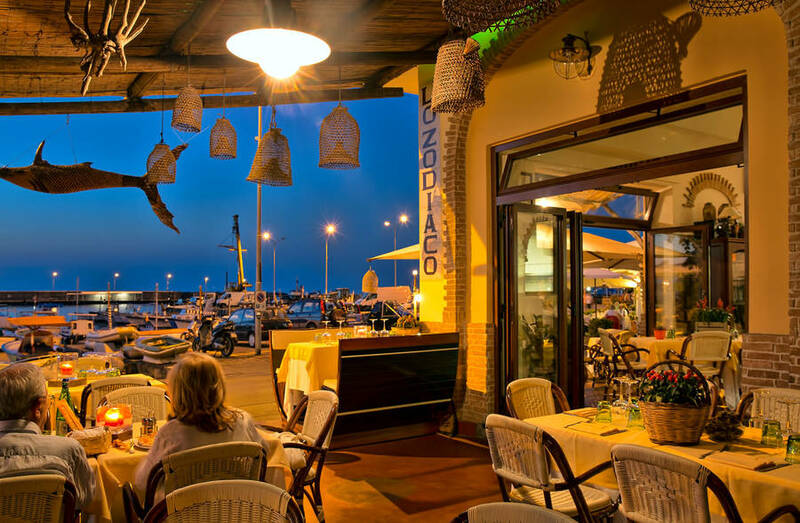 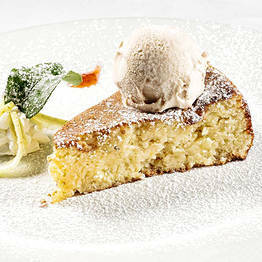 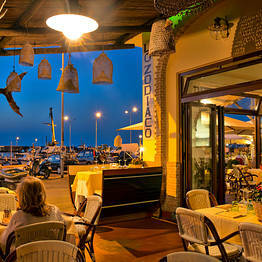 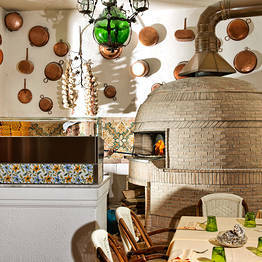 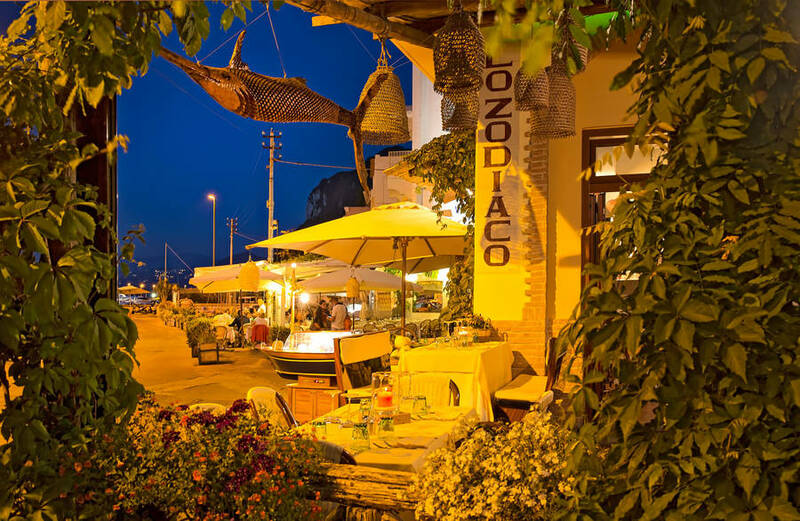 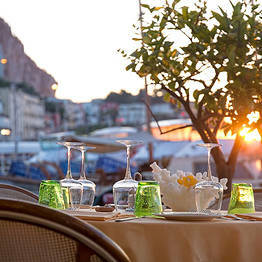 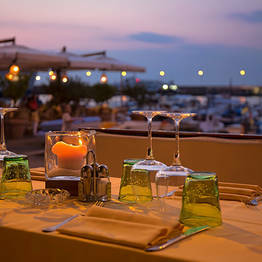 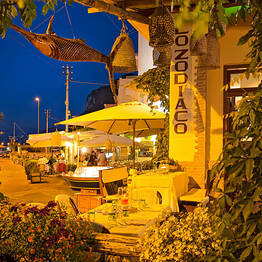 Restaurant Lo Zodiaco is located in Marina Grande, Capri's main port and fishing harbor. 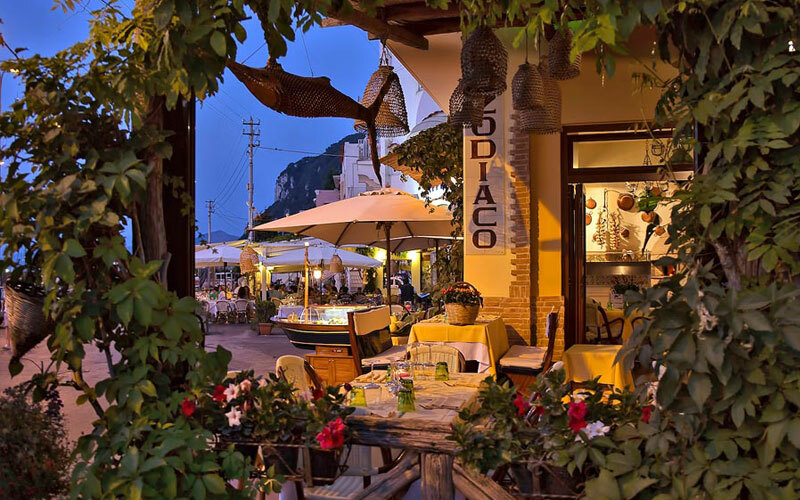 From the center of Capri you can reach Marina Grande using the funicular train (the journey takes a mere 3 minutes), or by bus or taxi (10 minutes). 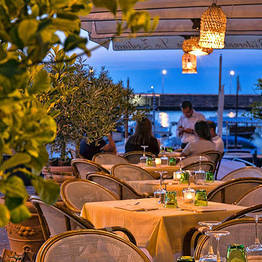 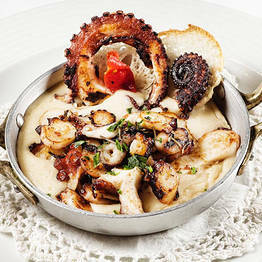 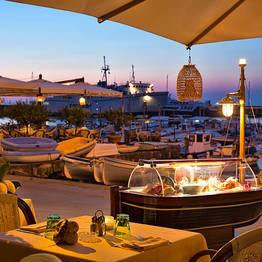 The restaurant is located in the heart of Marina Grande. 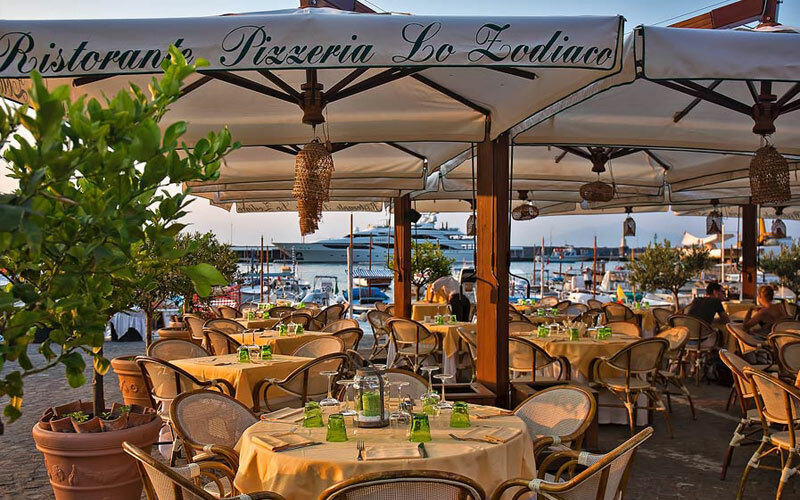 On the one side there's the commercial port where the ferry boats and hydrofoils drop anchor; on the other side there's the dock where the island's fishermen keep their traditional gozzo boats and from where tours to the Grotta Azzurra depart. 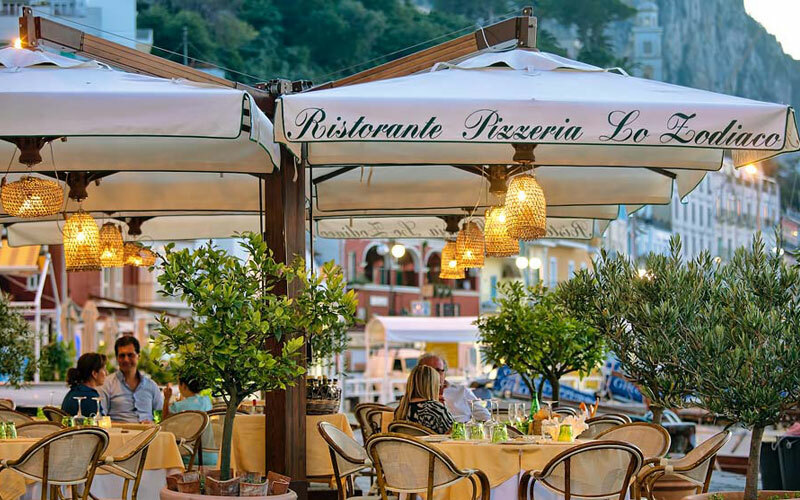 The restaurant is located right next to the tourist harbor where, each summer, the world's millionaires moor their luxury yachts.